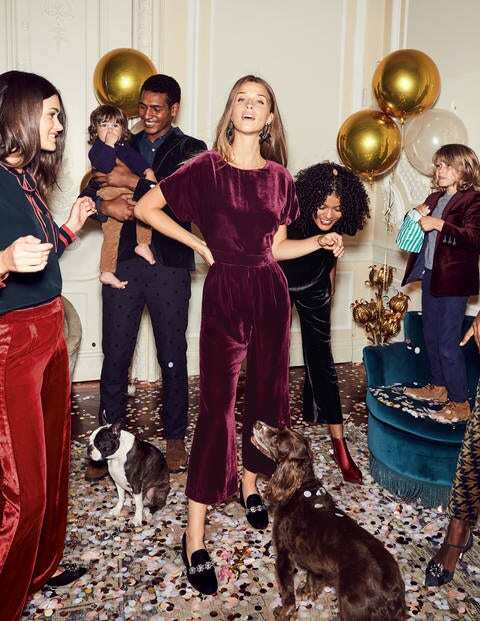 Our silk blend velvet jumpsuit is an easy win for your next event, with a breezy, wide-leg fit and feminine kimono sleeves. Functional pockets add a hint of tailoring, while the seamless finish helps it to drape oh-so-elegantly. Want more? A nipped-in waistband gives it a flattering shape. Viva la velvet.